I do not remember when I last wrote about the European crisis, but it was a long time ago, for sure. The reason is simply because there was nothing worth writing about; belt-tightening programs were under way in the south with increasing difficulties, while the north, like Germany for example, was getting on pretty well. In fact, everybody was waiting for the German elections that were held in September. They resulted by a forced “grand coalition” between the Christian Democratic Union (CDU), which lacked a few seats to form the majority in the Bundestag, and the Social Democrats (SPD). The painful negotiations for a coalition program only finished last week. Clearly, solidarity as defended by the SPD is out while responsibility as defended by the CDU is in. The SPD was a firm partisan of eurobonds which would make possible to share the huge public debt burden of the south. Moreover, the SPD had supported the principle of a one-time debt write-off for Greece in its last party congress. Apparently, the Social Democrats could not convince the iron chancellor to change her approach with respect to the necessary rebalancing in the eurozone. The German government will continue to insist on a rebalancing through budget deficit reductions and wage decreases in the south. 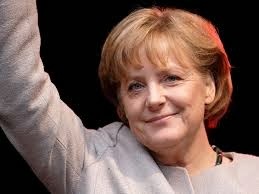 Merkel believes that economic growth would follow almost naturally. She might be terribly mistaken. While the coalition agreement was ready, the European commission decided for the first time in the EU's history to monitor a member country -- Germany, of course -- for “excessive current account surplus.” Kemal Derviş, former Turkish economy minister and current vice president of the Brookings Institution, recently published a remarkable article in Project Syndicate titled “Northern Europe's drag on the World Economy.” While China has until recently been accused of being responsible for global unbalances, Germany, having trade surpluses close to those of China, had not attracted much attention since the eurozone current account was balanced and intra eurozone unbalances were considered an internal family problem. Now, the balances are rapidly changing. While China is on its way to decreasing its surplus through a revival in domestic demand, Germany has increased its surplus. According to Derviş, the eurozone will produce a surplus of $260 billion this year (the Chinese surplus is expected to decline to $150 billion), most of which is produced by Germany -- the Netherlands and Austria also have surpluses -- with the remainder being a result of diminishing deficits in the south thanks to its belt-tightening. As pointed out by Derviş, the main adverse effect of this huge surplus will be the appreciation of the euro against the US dollar, the yen and the Chinese renminbi. Southern European countries painfully succeeded in realizing wage devaluations to some extent but this was not enough to restore their competitiveness. The only way for them to return to modest economic growth was an increase in their exports. However, this requires both an undervalued euro and growing German imports. This can only be achieved if the German export-led growth turns into a more balanced one, i.e., growth based more on domestic demand. This radical change in the growth regime can be realized if German wages increase. In fact, the agreed minimum wage of 8.5 euros per hour, fairly higher than the lowest market wages, can actually contribute to some extent to the new growth regime. Nonetheless, Merkel, accepting the minimum wage imposed on her coaltion partner a gradual implementation that will take two years. Obviously the minimum wage decision would not be sufficient to have a less unbalanced economic growth within the eurozone. As was pointed out recently by Larry Summers at an IMF conference and strongly supported by Paul Krugman (“The Conscience of a Liberal,” The New York Times), developed countries face the threat of “secular stagnation” because of insufficient aggregate demand. Boosting it necessitates negative real interest rates that can only be achieved by higher inflation compared to the actual one. I do not think that Chancellor Merkel appreciates such “immoral” ideas.